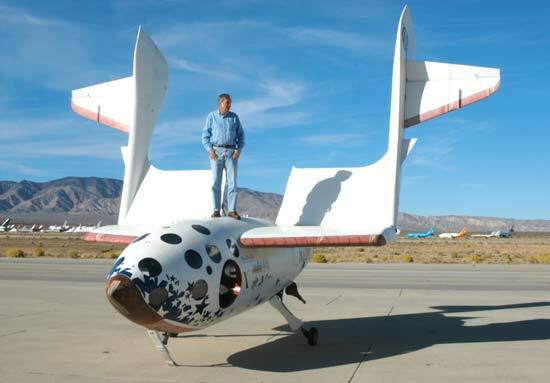 It was a heady time for the emerging NewSpace movement, California-based Scaled Composites had sent Mike Melvill in the privately produced SpaceShipOne on flight 15P up 62 miles (100 kilometers) into space. This set the stage for them to win the Ansari X-PRIZE and from there send the first tourists on suborbital hops. Or, so they hoped. Thirteen years and four lives later, the follow-on vehicle, SpaceShipTwo, has yet to send a single tourist to sub-orbit. Flight 15P was followed by 16P, with Melvill once again at the helm, this time taking SpaceShipOne up to 64 miles (103 kilometers) on Sept. 29, 2004, and the 17P flight on Oct. 4, 2004. These last two flights were competitive and met the requirements under the Ansari X-PRIZE – worth an estimated $10 million. The Ansari X-PRIZE was instituted to jump-start commercial space efforts, and it appeared that Scaled’s owner, aerospace maverick Burt Rutan, would show the world that private industry could do things more quickly, better, and less expensively than government operations. With Scaled Composites closing in on the X-PRIZE, Sir Richard Branson, the founder of the Virgin franchise, entered into an agreement with the company to produce the successor aircraft and spacecraft – WhiteKnightTwo and SpaceShipTwo. However, since their initial successes, efforts to have well-heeled (a ticket on board the spacecraft costs an estimated $250,000) space tourists sent up into the black sky, to the very edge of space (sub-orbit), have stalled. On July 26, 2007, three people were killed when a rocket engine exploded during a test that was being developed for SpaceShipTwo. Knights Arrow, utilizing a California Public Information Act, obtained access to a report from the California Occupational Safety and Health Administration on the incident. In the Knights Arrow report, several factors were suggested as contributing to the deaths of Todd Ivens, Eric Blackwell, and Charles “Glenn” May. These included either a lack of due-diligence or, possibly, as the Knights Arrow article claims, “a wilful disregard of the truth.” Also, suggestions were made that the Nitrous Oxide (N2O) fuel was “stable and benign”. This may have led to the erroneous belief that viewers could watch the test from a relatively close distance, with nothing but a chain-link fence as protection. The ambient temperature that day was estimated to be about 105 °F (40.5 °C); however, the recorded ambient temperature at the nearby Mojave Airport peaked at 115 °F (46 °C). Also, there was a holding tank containing more than 10,000 pounds (4,536 kg) of N2O at 70 °F (21 °C) and pressurized to 360 psi (2,482 kPa). After about three seconds into the test, the rig exploded. According to the Knights Arrow report, many of the individuals present that day, as well as those responsible, were not interviewed. Fast forward seven years to Oct. 31, 2014, and the VSS Enterprise (tail number N339SS) SpaceShipTwo was conducting its fourth powered test flight when the co-pilot accidentally activated the spacecraft’s feather system, which allows the spacecraft to return to Earth without the penalty of having a heavy heatshield. The VSS Enterprise, the first of five planned spacecraft of this type, broke up killing the co-pilot Michael Alsbury and leaving the pilot Peter Siebold seriously injured. The sign Melvill held aloft thirteen years ago read: “SpaceShipOne, Government Zero”. On this anniversary of those first exciting steps, one could say that the loss of four lives has provided the producers of both SpaceShipOne and SpaceShipTwo with some humble experiences that have tempered their initial swagger. The loss of this confidence, coupled with the accidents, has slowed the rapid pace that Scaled Composites / Virgin Galactic / The Spaceship Company started out with (in July 2009, Branson told the BBC that the first paid flights should take place within 18 months – that was roughly six years ago). Since that time, the date of when paying customers might fly to space on SpaceShipTwo has slipped “to the right” several times, so much so that even Branson has stopped providing a date as to when this might occur. Certain statements within this article are based on the views of the author and do not, necessarily, reflect those of SpaceFlight Insider.